The healthcare delivery system is under tremendous pressure to identify and commercialize simple medical solutions quickly to lower costs, control infections, reduce liability and eliminate preventable errors. The trend toward more user-friendly home health care products will also spur the demand for innovative medical devices. With the convergence of scientific, electronic and digital technologies; new breakthroughs in medical devices will play a critical role in solving the problems in healthcare and enhancing the human condition. The global market for medical products and hospital supplies is over $220 billions. Innovation is the life-blood of the industry. The medical supply industry has had a consistent growth rate of over 10% for the last several years. The leading companies struggle to maintain 30% of their revenues from new products introduced in the last 3 years. An innovation process that insures consistent leading-edge medical solutions at low-cost will create tremendous value in medical supply markets. A summary of the impact that medical innovation has had on health care delivery from a historical perspective can help us to anticipate the future. The discovery of anesthesia in the mid-1800s by several American and British physicians working separately, and the greater understanding of germs and infection achieved through the work of Louis Pasteur and Joseph Lister, contributed significantly to the advancement in surgery. Using ether and other forms of anesthesia to alleviate pain, along with sterilized instruments and antiseptics to prevent infection, surgeons gained the ability to perform numerous procedures that previously were impossible and created much higher risks than the benefits the procedures offered. Surgeries increased in both number and complexity, creating a need for new medical devices. Such devices included a variety of surgical instruments, catheters, and intravenous infusion equipment, as well as an array of peripheral health care products, including sterile surgical caps, gowns, masks, and gloves. Further growth in the overall medical device industry was spurred by the proliferation of community hospitals, which have become the primary market for medical equipment. In the mid-twentieth century, the discovery of advanced materials, and new ways to apply existing materials, further spurred the development of medical devices. 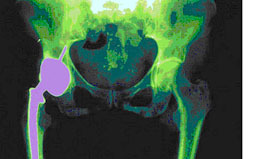 Metals such as vitalium, and tantalum were developed for their unique mix of strength to weight and corrosion resistance combined with polymeric materials, like low-density polyethylene for its durability, shock absorbance and abrasion resistance in the manufacture of orthopedic devices for implantation in the body. Other exotic metals like titanium, along with new synthetic polymers like nylon, acrylic, and other plastic-based materials, were used to produce heart valves, artificial arteries, pacemakers, cardiac instruments, angioplasty catheters, stents, and other cardiovascular items. Some people mistakenly conclude today that the major medical innovations have already taken place and that everything from this point forward is bound to be incremental. History suggests otherwise. There is dramatic room for improvement in health care delivery. The urgency to reduce the high level of preventable medical errors, reduce liability issues, control infection and provide home health care services, will focus our attention and resources as never before. We are confident the medical profession and healthcare professionals will rise to the occasion and help develop the medical solutions to revolutionize health care. With the rapid pace of medical innovation, what seemed to be the best practices and state-of-the art today, will be considered backward and ineffective within a decade. As the leading innovation agent, Eureka Medical will play an important role in bridging the gap and enhance the continuous flow of medical innovation from the professionals active in the space to the leading medical device suppliers. We are confident that as dedicated partners we can create tremendous value for all stakeholders and enhance life for millions. Learn more about the FDA’s role in regulating medical device products.